The Forum was appointed by the Minister of Conservation and the Minister for Primary Industries. The Forum’s job was to recommend to the government what sites are deserving of marine protection and what type of marine protection the sites need. It was a three-stage process. Draft recommendations notified and formal submissions considered. Recommendations finalised and provided to government. The Forum initially consulted widely with local communities and interest groups. They also considered any available scientific information. 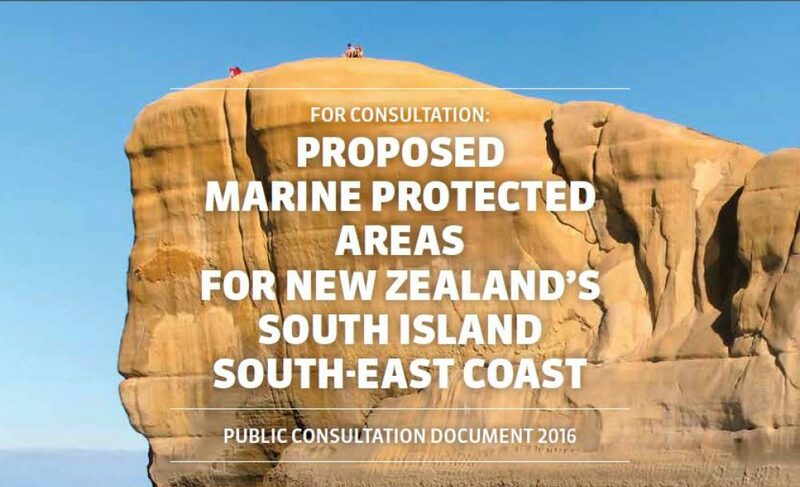 On the basis of that first stage of information gathering, the Forum consulted on 20 proposed sites for possible inclusion in a network of marine protected areas along the South-East Coast of the South Island from Timaru to Waipapa Point. Submissions closed on 20 December 2016. 2803 submissions were received. The Forum have reviewed the information provided in the submissions and are now deliberating on a final set of recommendations on what sites should be protected and what type of protection each site needs. The Forum’s final set of recommendations were informed by the submissions and other available information. The Forum’s recommendations about what type of protection each site needs can range from banning certain fishing techniques (particularly those that affect the sea bed) to limiting commercial fishing through to banning all “takes” of any sea life (marine reserves). There are multiple solutions available to the Forum. The Forum’s recommendations must attempt to minimise impacts on users of the marine environment. Consultation has been one way of determining where people fish and recreate, and therefore where marine protection is likely to have a negative impact. Consultation has also helped determine what areas people believe are special and want to see protected in some way. The formal submission process attracted 2803 submissions. Community views expressed in the submissions helped inform the Forum’s recommendations. The South-East Marine Protection Planning Forum’s area is the coastline between Timaru in the north, to Waipapa Point on the southern coast. This is part of the “Southern South Island coastal bioregion”, one of New Zealand’s 14 marine “biogeographic regions” (bioregions). Members of the Forum represented the interests of tangata whenua, commercial fishing, recreational users, conservation groups, tourism, aquaculture, marine science, local government and communities.